Red Toned Faux Wood Design for a classic look. 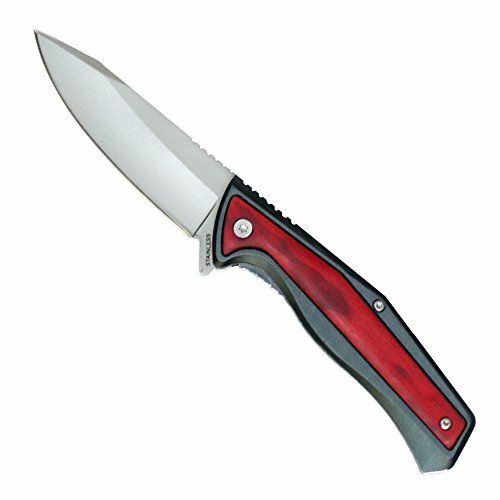 Durable stainless steel blade that will be sure to last in the great outdoors. 3.5 Inch blade length, 7.5 inch knife length. Sure to fit hands and pockets of most sizes. Convenient back pocket clip that clips onto any pants or shirts. If you have any questions about this product by Cedar Creek Outdoors, contact us by completing and submitting the form below. If you are looking for a specif part number, please include it with your message.